I know it's July 12, and most everywhere is blazing hot right now, so most won't have a pressing need for the Dainese Scout Gore-Tex Gloves. 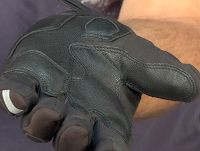 However, these gloves need to be written about, if only as a vehicle to show off how slick they look and go into some detail about their cold weather performance. Brand new for 2011, the Scouts complement the Jerico gloves as the most high-end cold weather sport and ADV touring in the Dainese lineup. 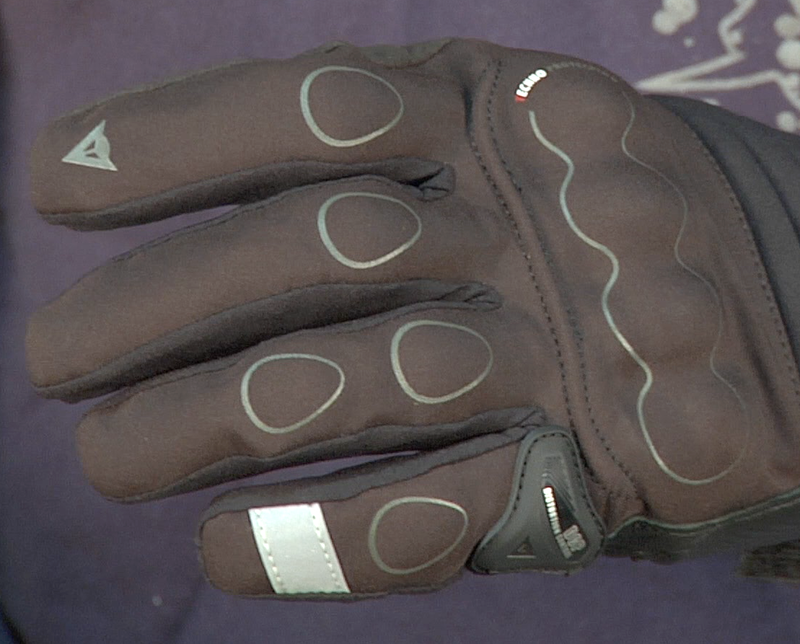 With protective elements that cover you in all impact areas and a Gore-Tex waterproof breathable membrane alongside a thermal liner, the Dainese Scout Gore-Tex Gloves will easily be your go-to winter glove choice. Let's dive right into the materials that make up the Dainese Scout GTX Gloves. The backhand of the Scout is constructed of Stone PU, a highly abrasion-resistant proprietary textile that affords some stretch for mobility and comfort. The palm is a full goatskin construction, which is lighter and offers comparable abrasion resistance to cowhide, but affords a great deal more dexterity. There are double layers of goatskin in high-wear areas to preserve the longevity of this glove in addition to foam inserts at the heel of the hand that will dampen vibration and also provide some resistance to impact in a get-off-and-slide scenario. 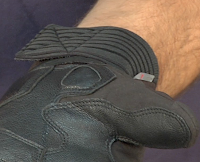 There are elasticated panels at the backhand and thumb for uninhibited mobility when working the controls. At the backhand, you'll see white stitching across the main knuckles and at the fingers. This stitching surrounds the techno impact protectors. The techno armor technology is thermoformed hard plastic that heat-bonded to stainless steel net, eliminating any stitching that would create a weak point and a potential damage area. In short, this is streamlined and sleek protection that provides a high degree of impact resistance. At the pinky, you'll find the Dainese Distortion Control system, found on many of their race gloves. This hard PU insert acts as a slider in the event of a lowside crash, and prevents any twisting or torsion on the pinky which could cause serious damage. If you don't know Gore-Tex, it is the most breathable of any waterproof membrane on the market (they pioneered the technology) and guaranteed for life. If this glove ever leaks, it will be replaced with no questions asked. There is a Primaloft thermal liner in the Scout gloves, which is an extremely insulating material that is used by the US military and can also be found in outdoor gear such as sleeping bags and hunting equipment. One of our favorite features of the Scout gloves is the cuff, which is a full gauntlet that features a stretch material and can be cinched down extremely snugly to streamline easily under your jacket. Staying true to Dainese, these gloves are sleek and provide a ton of style and performance. See more choices by visiting our Dainese Gloves and Winter Motorcycle Gear sections at RevZilla.com.